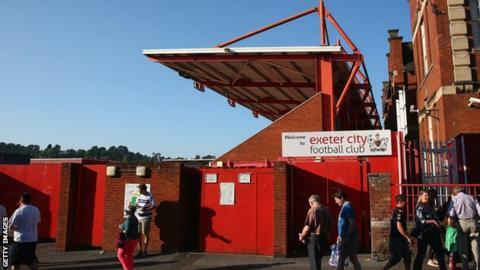 Representatives from the Exeter City Supporters' Trust will occupy half of the seats on a new-look board of directors at the League Two club. City are owned by the trust which sees supporters pay a subscription to the body which then helps fund the club. The new-look board will feature four directors from the club and four from the trust. There are currently five directors from the the club and two from the supporters' organisation. "It's not the survival of the fittest, it's the survival of the adaptable and we need to adapt to the circumstances currently and going forward." City have just come out of a transfer embargo after being forced to take out a loan with the Professional Footballers' Association in May when cash flow problems meant they could not pay the wage bill. City saw their and resign during the crisis and the new board will be responsible for finding a new chairman. "A group of both Trust and club directors will work to finalise the detail of that new structure and once that new-look board is in place, one of the first jobs will be to commence the process of appointing a new club chairman," Exeter vice-chairman Julian Tagg told BBC Sport. "It's significant. But it's not the survival of the fittest, it's the survival of the adaptable and we need to adapt to the circumstances currently and going forward. "It wasn't working as well as everybody wanted it to work, so we either start again or improve what we're doing and this is the start of that."